Other than blogging, supporting black owned businesses has become one of my favourite things to invest my time and money in. I did a post about ‘Supporting Black-Owned Businesses’ a while back, hopefully it encourages others to support BOBs too. I am aiming to use my blog as a platform and social media to share my thoughts and any useful information on BOBs, to help raise awareness. With that being said In this post I will be sharing my experience using Jamii . 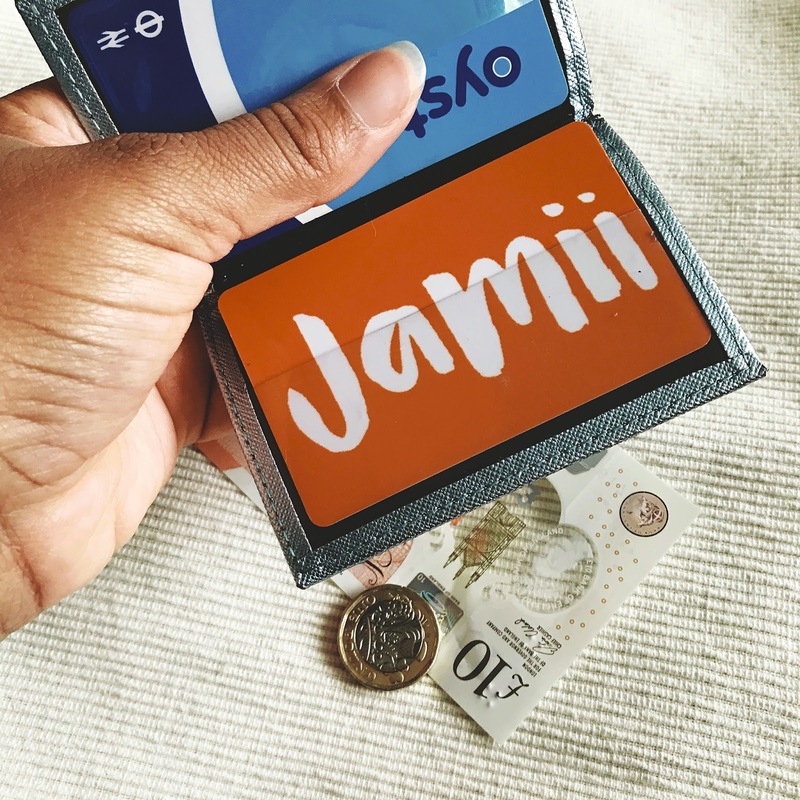 Jamii is a discount card created to encourage people to support African and Caribbean businesses within the UK. I ordered my Jamii card back in October. As soon as my card arrived I had a browse through the site, to see all of the businesses I would receive a discount for. I initially wanted to make the most out of year subscription, and try out all of the businesses. That didn’t happen, however when I finally got around to shopping I went for some hair care bits. My first Jamii purchase was with Sunukër . I have been wanting to get my hands on some head wraps for a while now. I decided to buy two from Sunukër and I liked the look of their Peppermint ‘N’ Vanilla Lip Balm. I got 30% off of this order with my Jamii card. Super Easy – Once you’ve set up your account and received your card, you simply have log in and redeem your discount code. I went for TOUBA and LOMPOUL patterned African head wraps. The Jamii site is easy to use and navigate around. I only had one issue when redeeming a code for one particular site, but a quick conversation from Khalia the founder of Jamii and it was all resolved. I really appreciated how quick and easy it was to resolve this issue. 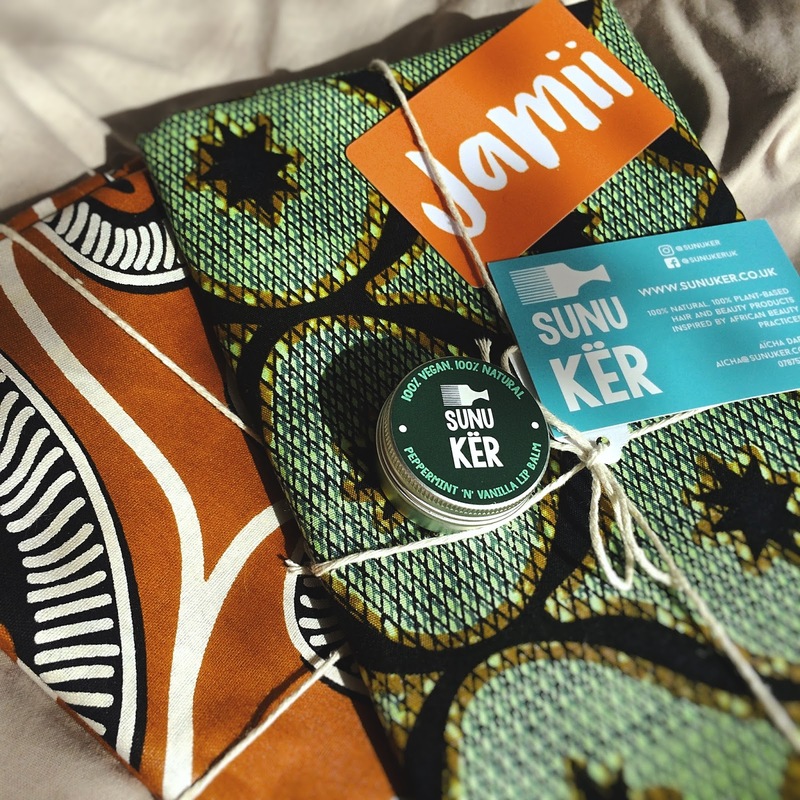 Sunukër has since then become one of my favourite businesses for hair care and headwraps. 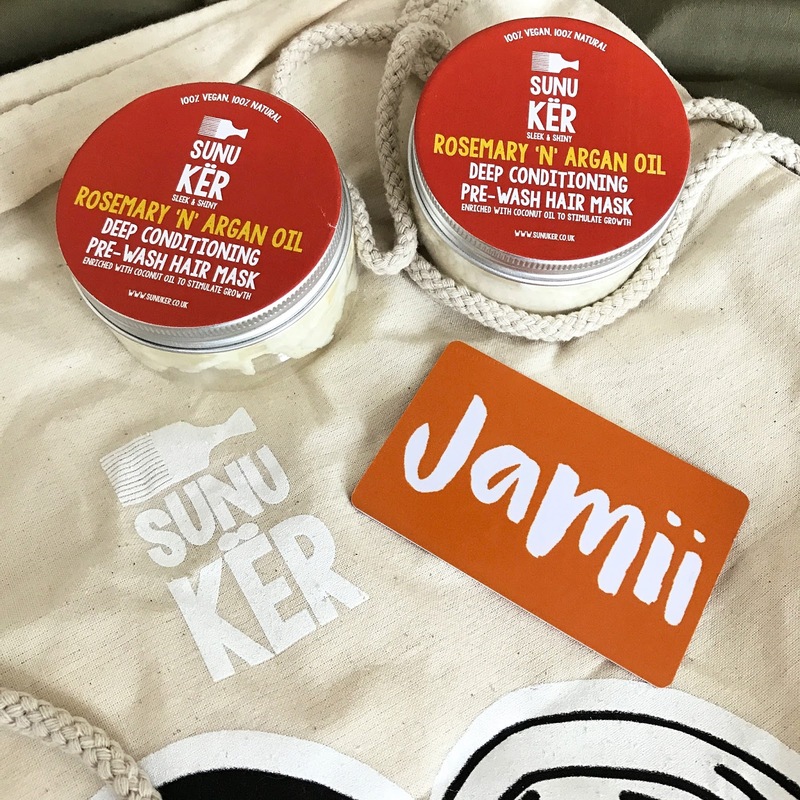 I stocked up on one of my favourites the Rosemary ‘N’ Argan Deep Conditioning Pre-Wash Hair Mask and was generously gifted their cute Coconut Oil Drawstring Bag. I will be reviewing this and the Creamy Moisturiser soon, in the meantime you can read my Favourite UK Black Owned Hair Products post for more details on this product. It’s a good purchase for those who want to discover new black owned businesses. Also for those who already have some black owned favourites and would enjoy the added bonus of a few discounts. 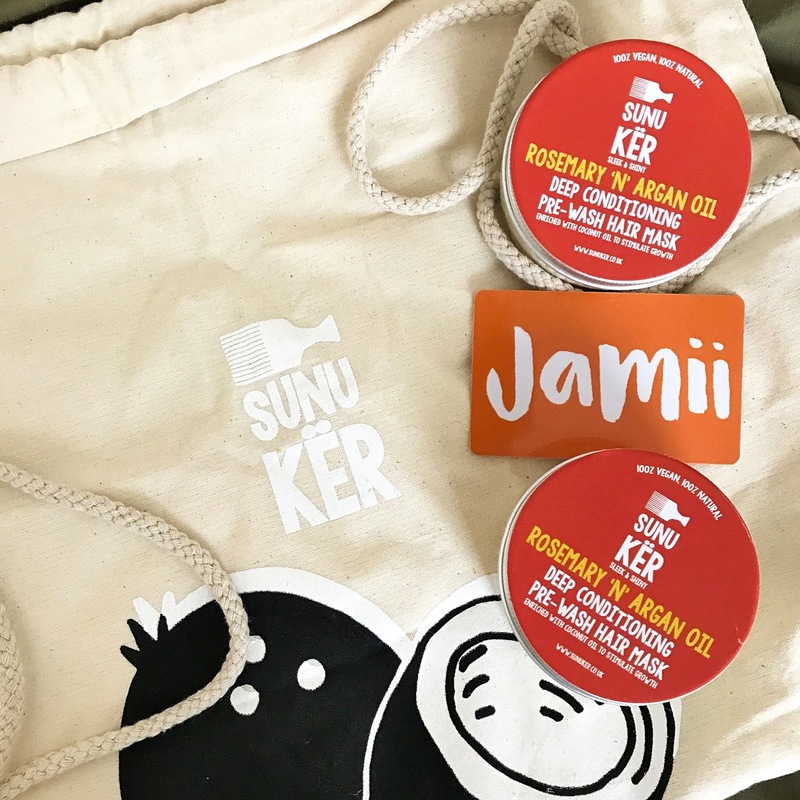 My only regret is not heading out and trying some of the food spots that have partnered up with Jamii. Other than that I have enjoyed my Jamii experience. I look forward to seeing who else Jamii partners up with. I recently received my second @ukjamii card & I didn’t wait long before using it 🙊 I came home to see my mini Ngara Headwrap from @laurajanefashions has arrived✨ – – – – – – – – – – – – – – – – – – – – – I have written about my #Jamii experience on my blog, you can click the link in my bio to see how I have used my Jamii discount card.